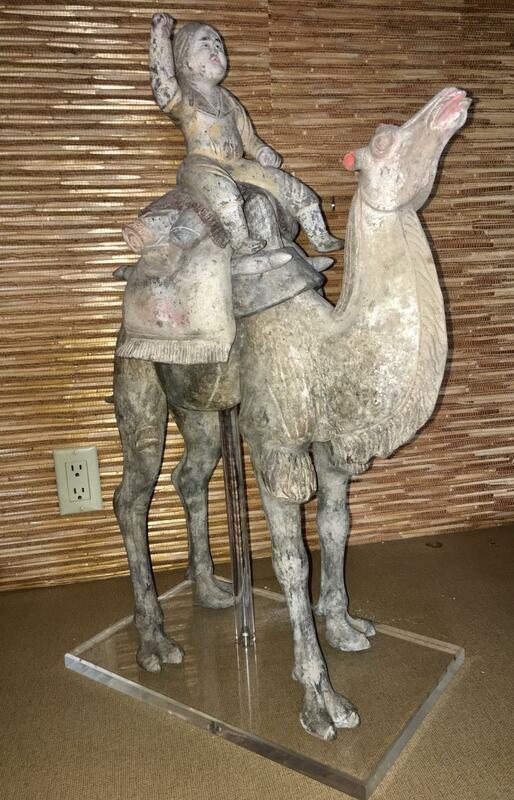 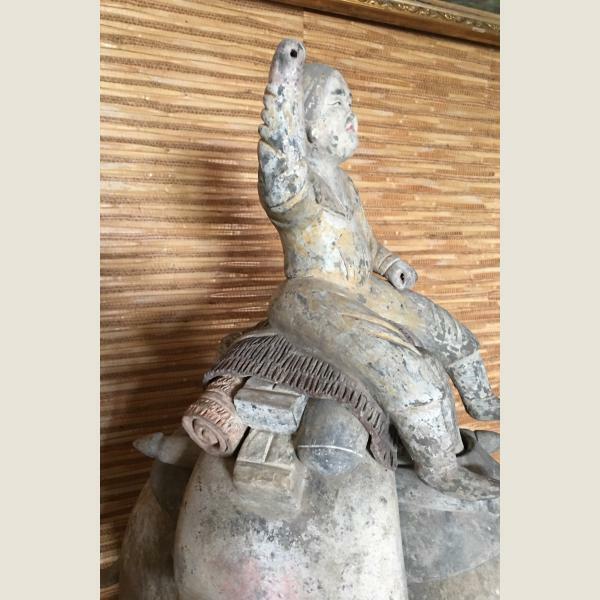 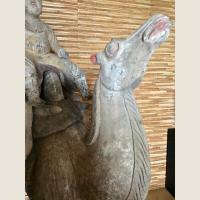 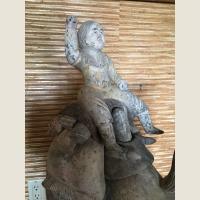 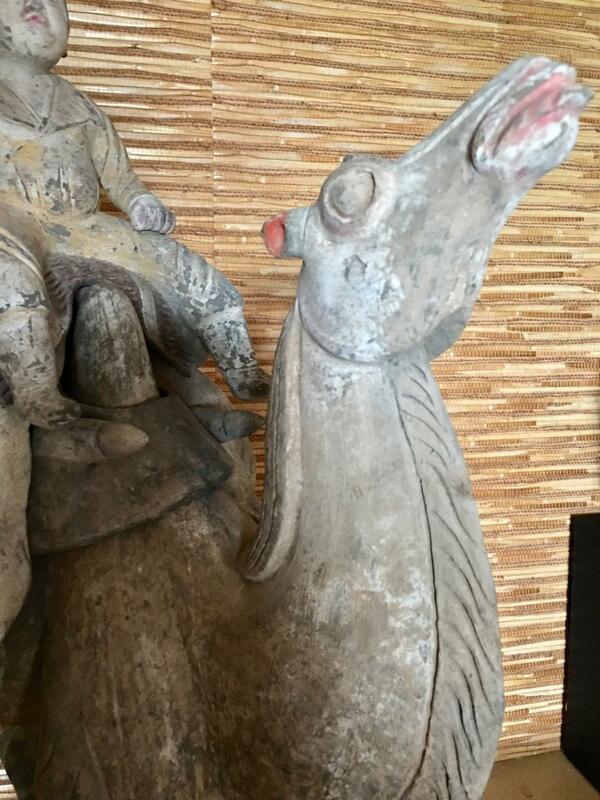 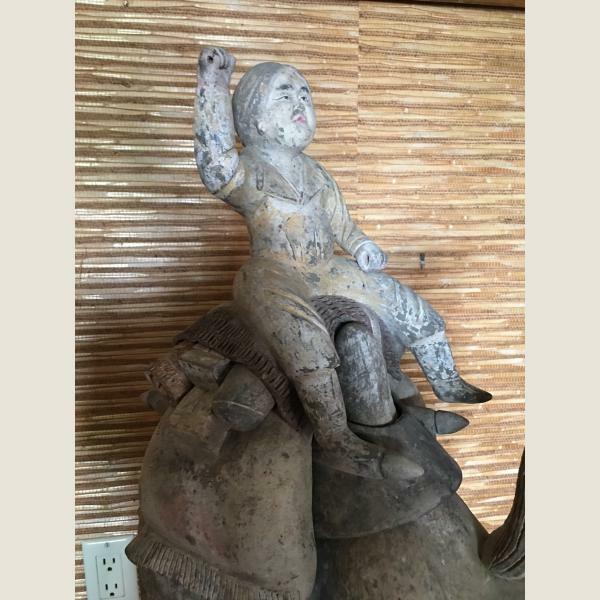 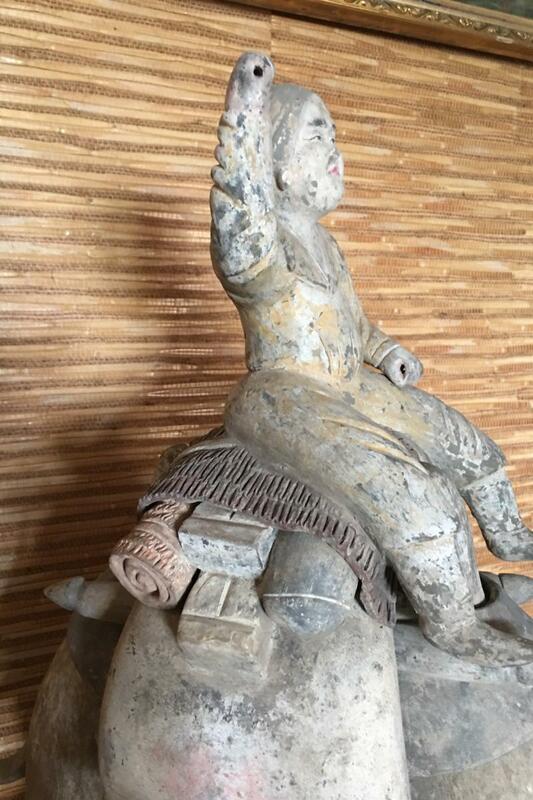 Magnificent large and rare early Tang Dynasty camel and rider. 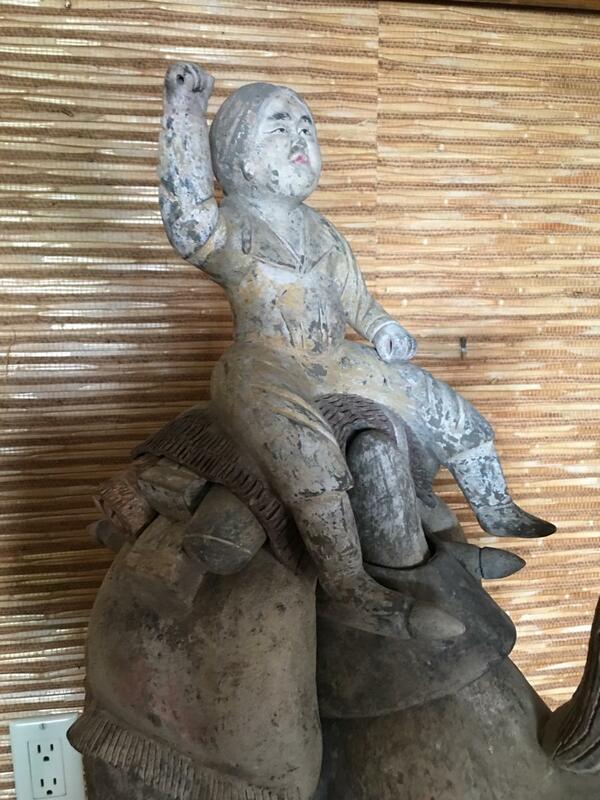 A stunning piece for display. 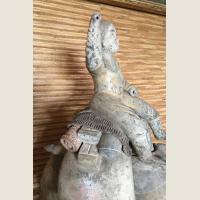 Realistic modeling and beautifully detailed, with traces of original polychrome. Composed of 3 separate pieces assembled into this one stunning work of art. 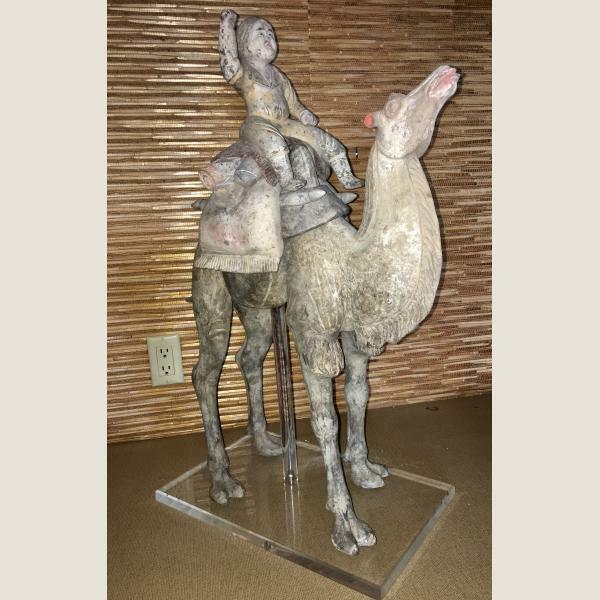 Mounted on custom Lucite stand.